Kendall and I are tomato crazy. When we first started going to the market together back in September, tomato season was peaking. We’d lug home POUNDS of tomatoes, and they were the stars of every meal. Seriously, there was a whole month when my lunches consisted of just one big Heirloom tomato, a light dressing, Maldon salt, and a piece of bread. The past several months we’ve been missing the big, juicy tomatoes. Luckily, we’ve been getting great cherry and grape tomatoes at our local produce markets. With a little roasting in the oven, these little guys make the perfect pasta sauce, or a damn good Bloody Mary. In a pint glass, muddle roasted cherry tomatoes with all ingredients, except the vodka. Fill the glass up with ice, add vodka, and then stir for approximately 30 seconds. Strain into salt-rimmed glass over fresh ice and, if you wish, garnish with lemon wedge, celery stalk, and olive. 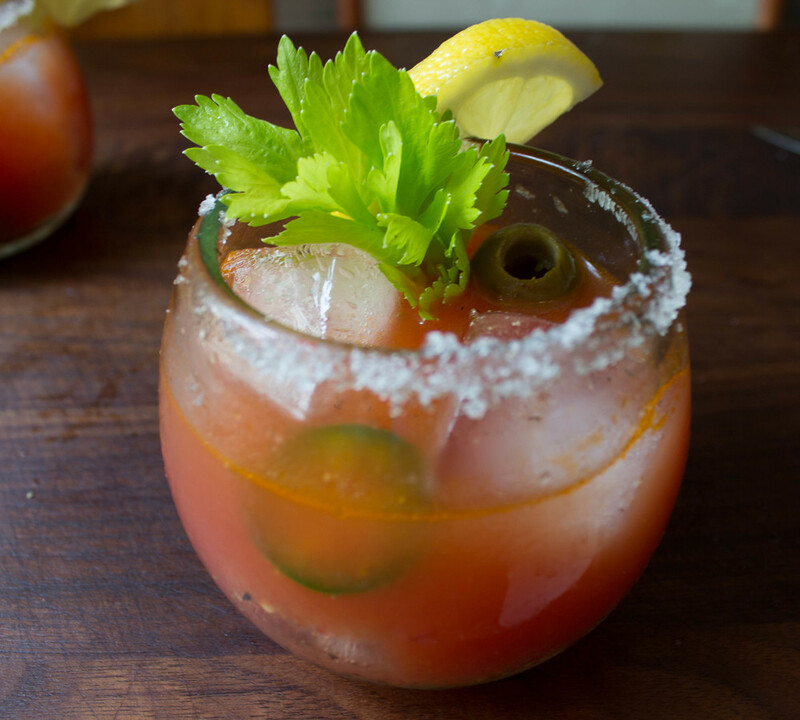 One thing I love about the Bloody Mary is that you can switch up the recipe however you like. 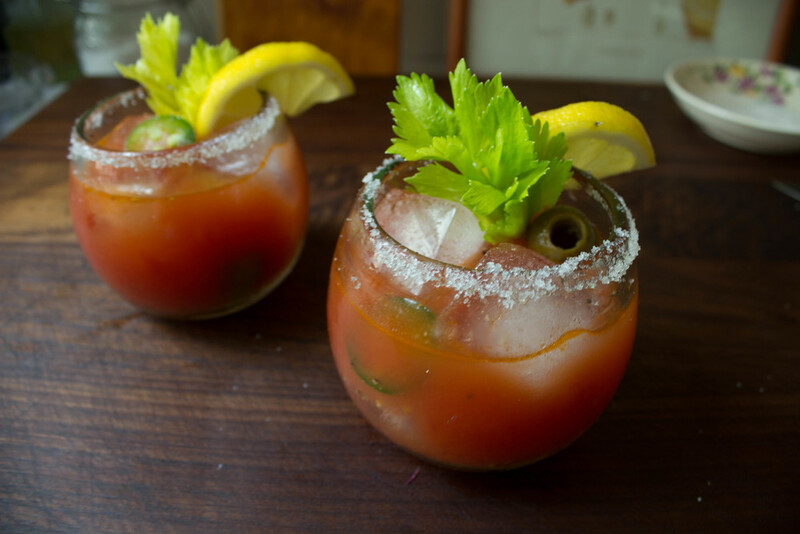 In your typical Bloody Mary, you’d just use normal tomato juice, but roasting the tomatoes gives the Bloody Mary a unique, savory flavor. I like to salt the rim of my glass because it intensifies the flavors in the cocktail (and I also have a little salt tooth). I garnish my Bloody Mary with lots of goodies cause I sometimes want more lemon juice, and also, it’s fun having a drink that you can snack on!